The networked property no longer needs a classical technician, only IT experts. Aachen (March 1, 2019). 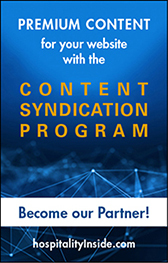 Networking around digitalisation: In future, HospitalityInside will support this exchange within the frame of its HospitalityInside Think Tank (HITT) stronger. For the first time, the publisher invited the HITT Community for breakfast (including key note) in Berlin, in the context of IHIF and ITB. Last week, a small circle met for an exciting workshop with Drees & Sommer at Aachen University, to learn more about the interconnected property. Such networking and post events are held so that everyone can learn from everyone. 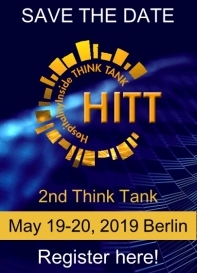 The next hotspot will be the Think Tank on May 19/20, 2019, in Berlin again and on the ship again. An update concerning content and dates. 1st HITT breakfast: More than 70 guests have already signed up for this premier, amongst other things to be able to listen to Yaning Liu, Director & Deputy General Manager at Diaoyutai MGM Hospitality from Beijing. The company, a fascinating joint venture of the Chinese hotel brand Diaoyutai and the American MGM Resorts, will open its first property in Europe this year, The Diaoyutai Mansion in Frankfurt. Therefore, Yaning Liu's perspective on the European hotel market as well as digitalisation in Germany will be very interesting… Co-host and sponsor of the event is the consultancy mrp hotels with offices in Amsterdam, Berlin and Vienna. 2nd HITT post event: Drees & Sommer was already HITT sponsor at the HITT premier last June (and will be sponsor again this year). The internationally operating project manager, which accompanies the realisation of Europe's "smartest property", The Cube, at Berlin central station, invited the HITT participants to the RWTH Aachen campus, where Drees & Sommer (DreSo) operates one of its offices and is one of 40 different companies conducting research concerning digitalisation. An inspiring atmosphere, as the participants noted during their round tour: Nearly all rooms are glassed-in, everybody sees everyone, it is easy to get into conversations, and they have a "cluster breakfast" on a regular basis to exchange their views. The discussion among the HITT participants was very open-minded, inspired by the lecture of DreSo's branch manager Klaus Dederichs, who provided many examples from the digitalised world outside the hotel industry. Therefore, one thing became clear immediately: Who thinks up properties new digitally has to "design" properties new – including less hardware and more software. The building will be more than just a stone case in future, it will be a service centre, which is able to increase the profit per square metre. Example: DreSo is building a giant quarter for living, working and leisure in a city. With 10,000 living units, there are only 1,000 parking spaces available. The solution: The investor finances the logistics between car park and apartment buildings as well as the e-shuttle service for all residents – who in turn will pay for the shuttle and re-finance it this way. Two other examples with relation to hotels: Empty parking lots will be rented off for the night by an external service provider. This is area efficiency at its best because it generates additional turnover for the owner/operator at the click of a mouse. Or: A fancy apartment house for long-stay guests generates many more additional costs than a standard property but can be re-financed by an in-house spa or car sharing service. Concerning both, residents (and maybe neighbours as well) are able to book via app. Or they will be able to order pizza from the Italian restaurant around the corner with the same app, thus the operator is able to cash in on commissions. Dederichs' conclusion: "Those who want to earn money have to think about their property platforms!" The building becomes a platform for services. In future, only "usability" counts, the development of services from the user's perspective. Those who put on these glasses will be able to see much more in a hotel: Maybe, there will be parcel stations, dry cleaners or delivery stations for shopping from the next REWE market available in hotels. Sensors, beacons, RFID… these new tools were developed to provide residents and neighbours of a property with customised services. This also applies to hotels. Because of this increasing digitalisation, cyber security has to be stepped up as well. In future, there will be no more classical in-house technicians but rather teams consisting of IT experts and programmers, who will also support the operations and e-commerce teams, at least in hotels. In future, the property will be operated by IT only. This was impressively demonstrated in the world of research at the Aachen campus: The HITT guests walked through an endless world of computers, cable cabinets, sensors and cameras. After IHIF/ITB, HITT participants will obtain more information about the content of the DreSo workshop. The first post event of this kind, after HITT 2018, took place at Sabre Hospitality Solutions in Frankfurt last September; there, the participants decided which path HITT will follow in future. One request was to bring investors/owners as well as operators and digital experts on board for the discussion about digitalisation. Because they all want the same: to build and operate the customised property for the respective target group. THE NEXT HITT is approaching: On May 19/20, 2019, the seminar ship will take off again in Berlin with the next participants on board. This time, we will start in Spandau. The number of participants is limited. And after HITT 2019, more post events will take place. Watch the video from the premiere. CONTACT & BOOKING. Please write to office@hospitalityInside.com. You will then receive the booking documents. FURTHER INFORMATION. Please contact Michael Willems, Managing Director HospitalityInside, via phone under +49 821 885880-20.